Being able to communicate clearly in writing is an important skill whatever your grade level. That’s why Grade Potential provides highly talented writing tutors who work with students to develop strong writing skills that will serve them throughout their academic careers. Grade Potential doesn’t provide generic writing tutoring for every client; rather, we customize and cater our tutoring services to each client we tutor. Our writing tutors come to you on your timetable and at your location to provide support that is customized to you and your learning style. What’s more, we work hard to make connections between students and the right tutors for them in order to make learning as approachable as possible. Each writing tutor at Grade Potential is not only an expert at written communication but also at tutoring. 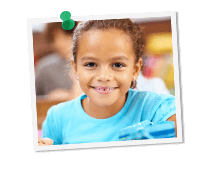 Experienced educators, our tutors understand what goes into effective instruction and mentoring. Looking at your specific situation and needs, we’ll help you unlock your potential and reach your academic goals!